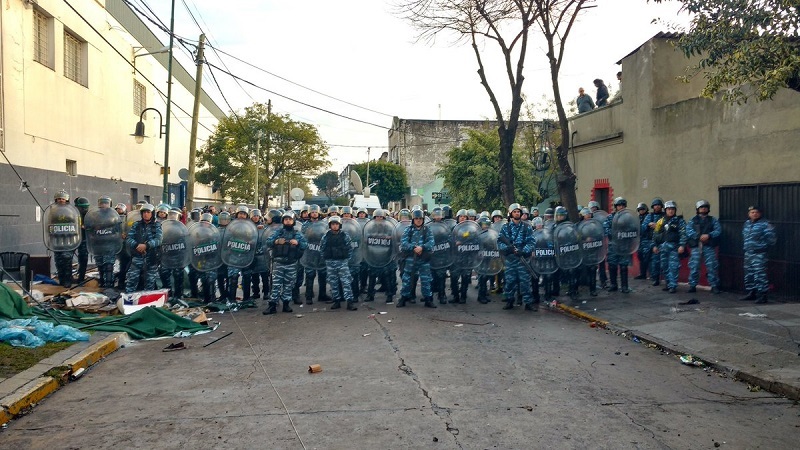 BUENOS AIRES, ARGENTINA: Early on Thursday morning, over 500 police were sent to the PepsiCo factory in Buenos Aires to violently evict the workers occupying the factory. While some of the workers remained barricaded inside, which other PepsiCo workers, students, human rights advocates and workers from other sectors resisted outside, setting up roadblocks made of burning tires. 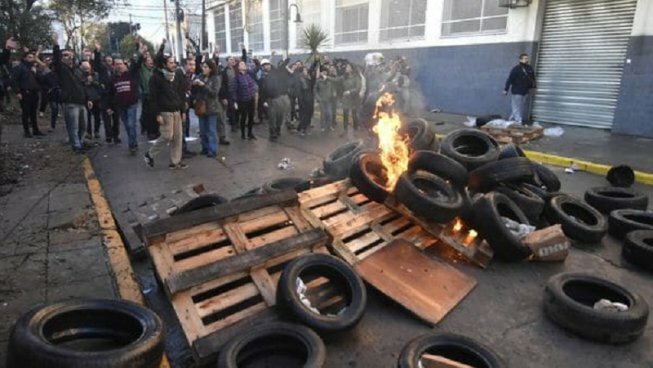 These protesters and workers had spent the night camping outside the factory in the middle of Buenos Aires winter and after a long night, faced off against the police. 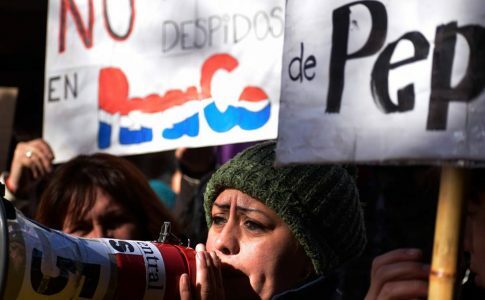 PepsiCo workers occupied the factory in late June, when the US-based multinational locked out over 600 workers with the purpose of moving production elsewhere. 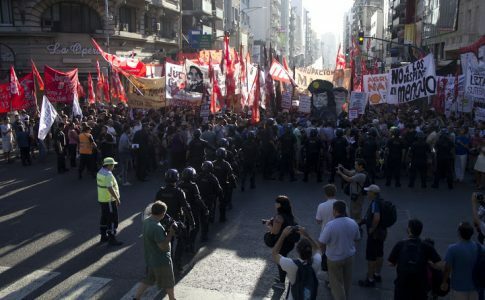 The workers have since then thrown themselves into building a forceful campaign to win support from the Argentine population and other sectors of workers in particular. The PepsiCo occupation, located in a residential neighborhood, has been supported by residents; when police approached the factory yesterday night, neighbors began to bang pots and pans. Residents have also taken in and cared for workers and students injured by police. During the long hours of the eviction clash, the police threw tear gas, shot rubber bullets and beat those who defended the occupation. 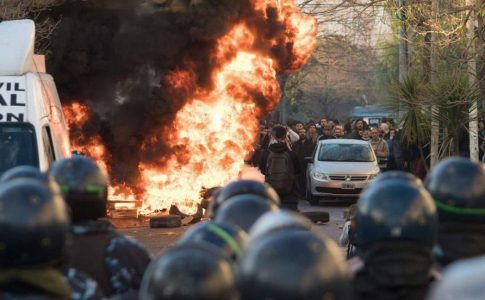 The occupiers and supporters chanted, “General Strike!” and, “Unity of the Working Class!” as the police tore through the encampment outside the factory, beating anyone who got in their way. Women cops made up the first line of police officers, as is custom in Argentina. In the meantime, workers threw rocks at the cops from the roof of the factory. 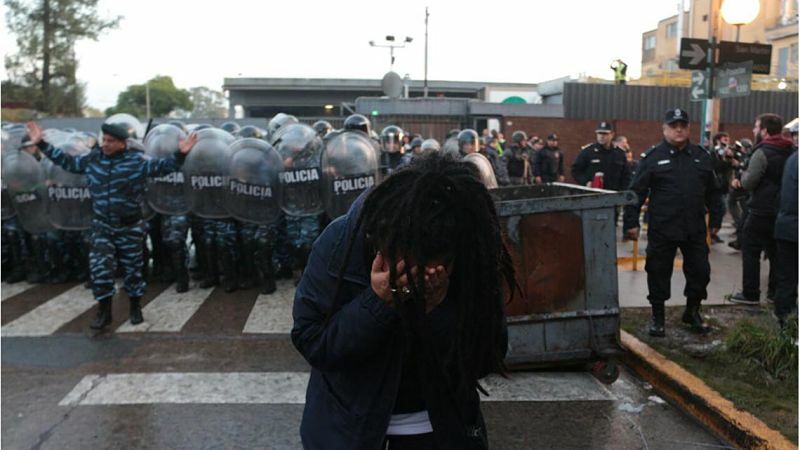 Once inside the factory, the police continued their violence against the workers. One woman began vomiting due to the amount of tear gas, and was taken away in a stretcher. 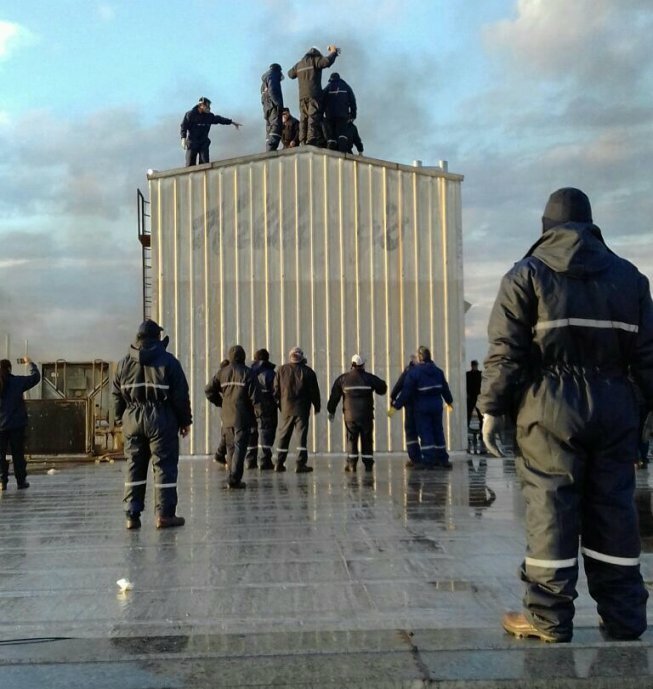 The workers were trapped on the roof after the police broke a gas pipe to force them out of the factory. The workers negotiated to leave the factory freely–not being detained or beaten by the cops. 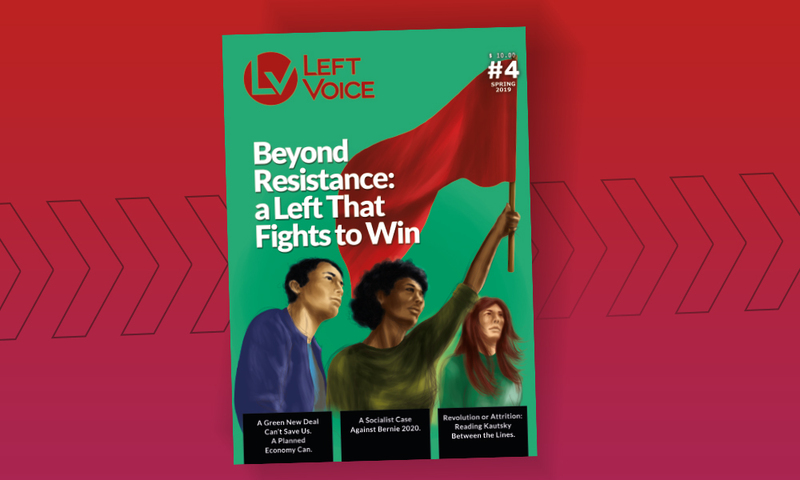 Human rights advocates and political figures were allowed to enter the factory to make sure the workers were not harmed as the police escorted them out. The whole operations took over three hours. Eight people were detained by the police. Workers and their allies went to the police precinct, demanding their freedom. An hour later, all were freed. 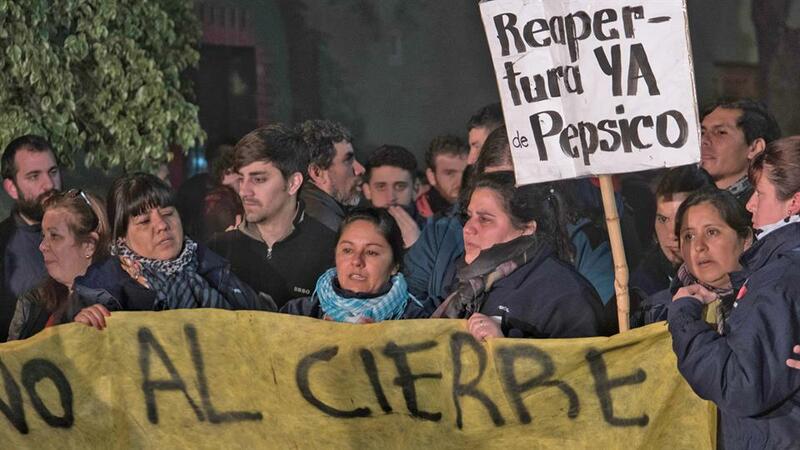 There has been an outpouring of support for the PepsiCo workers, with hundreds of tweets and public statements. 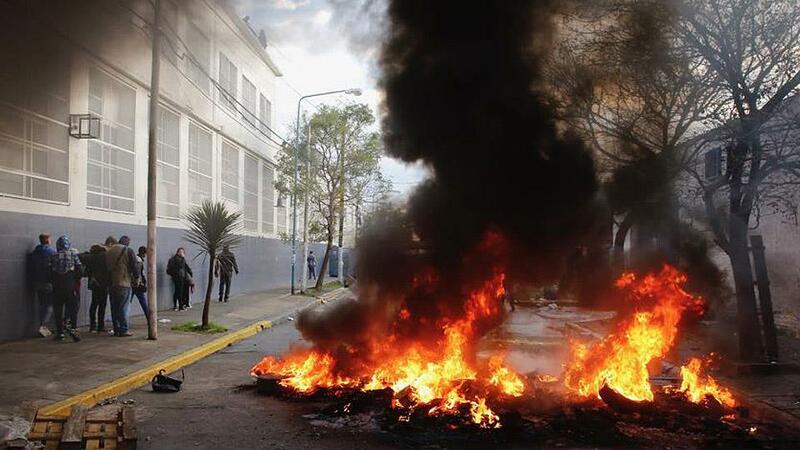 In nearby La Plata, workers and students blocked a road in support. One of the trains is engaging in a work stoppage in solidarity. 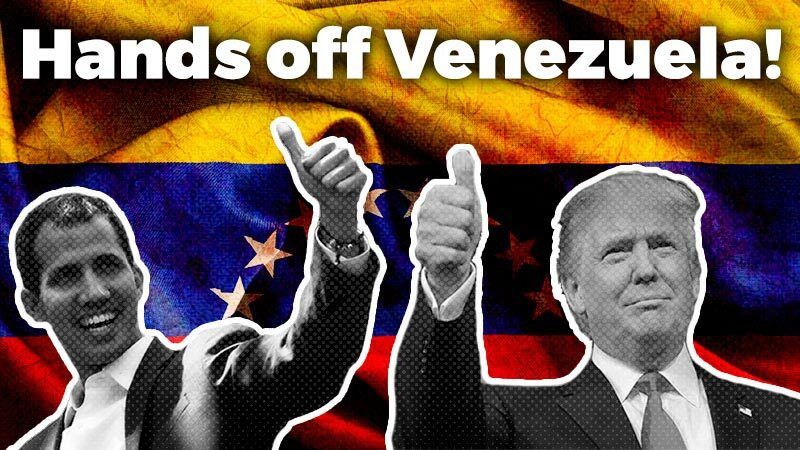 Camilo Mones, shop-floor representative, says, “We fought until the end. And now we will keep fighting.” Although the workers were evicted, they have shown their determination to continue fighting for their jobs. Workers on the roof of the factory. 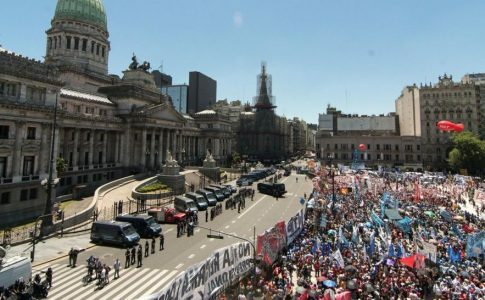 The Argentinean government has recently approved a new “security protocol" that prohibits the essential right to protest.